Every child has the potential to read! Your child can scale the heights of excellence in reading and reading comprehension with my simple approach to SYNTHETIC PHONICS. My Course is traditional, designed for home use and home schooling and has been applied for over forty years in three countries. Bringing phonics to the forefront of literacy I have taught hundreds of children to read. My downloadable mini-course LIFT-OFF WITH FAST PHONICS introduces the system and is the first step to my full four book early reading course, ensuring your child’s reading success quickly, easily and by having fun on the way. For more information. Send for my newsletter, packed with tips on Phonics, Successful Reading and Child Literacy. Supercharge your child’s reading, and have a £5 discount on my optional hourly telephone consultancy rate at the same time. Robyn Dalby-Stockwell is a teacher, writer and reading consultant. 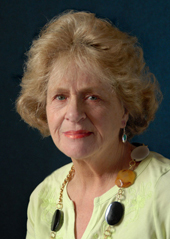 Born in Australia, educated in New Zealand and living in the UK she has had forty years’ experience of teaching reading across the age spectrum, from three year olds to adults, using Synthetic Phonics. During that time she has never had a failure and has rescued many hundreds of ‘failing’ children both in the UK and abroad. She has given numerous seminars to parents and schools and given many media interviews. Robyn founded Alonah Reading, Cambridge to bring her skills to a wider audience.